Hey beautifuls, hope you are doing great and had a wonderful Holi. 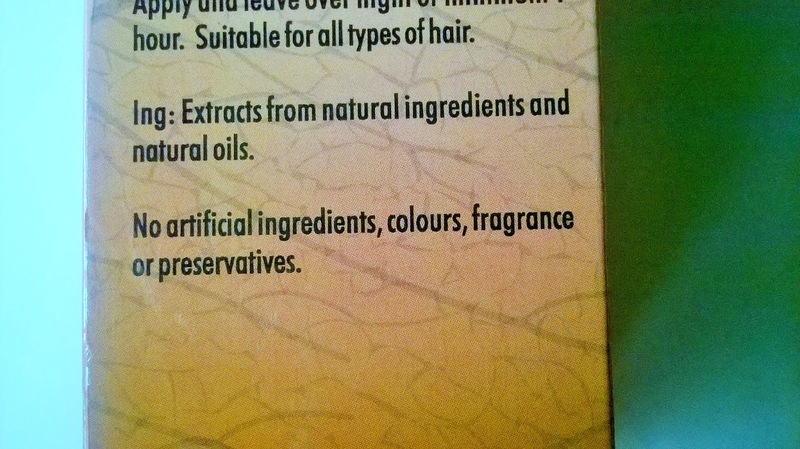 Have you been particularly careful about your hair? 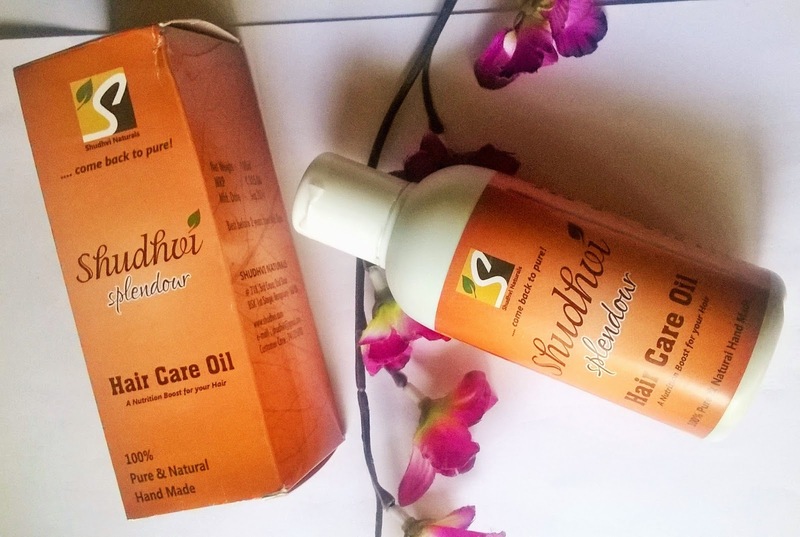 Today I will be reviewing something related to hair and it is the Shudhvi Splendour Hair Care Oil. 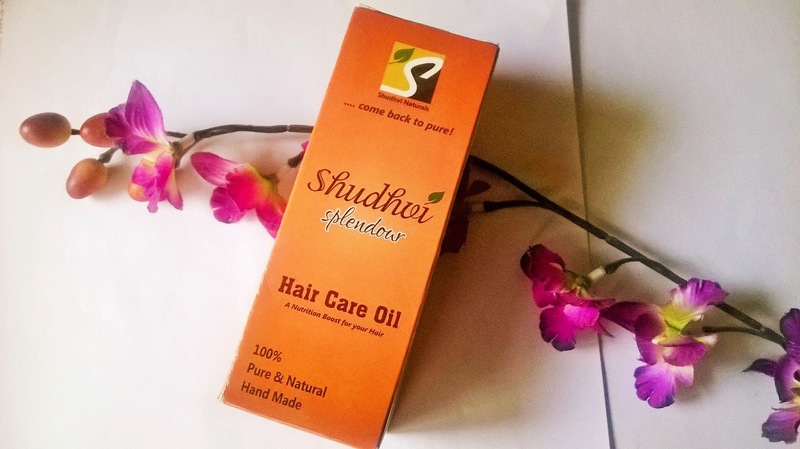 Packaging: Shudhvi Splendour Hair Care Oil comes in a orangish brown outer cardboard packaging. The oil is packed inside a white bottle with a flip-open white cap. 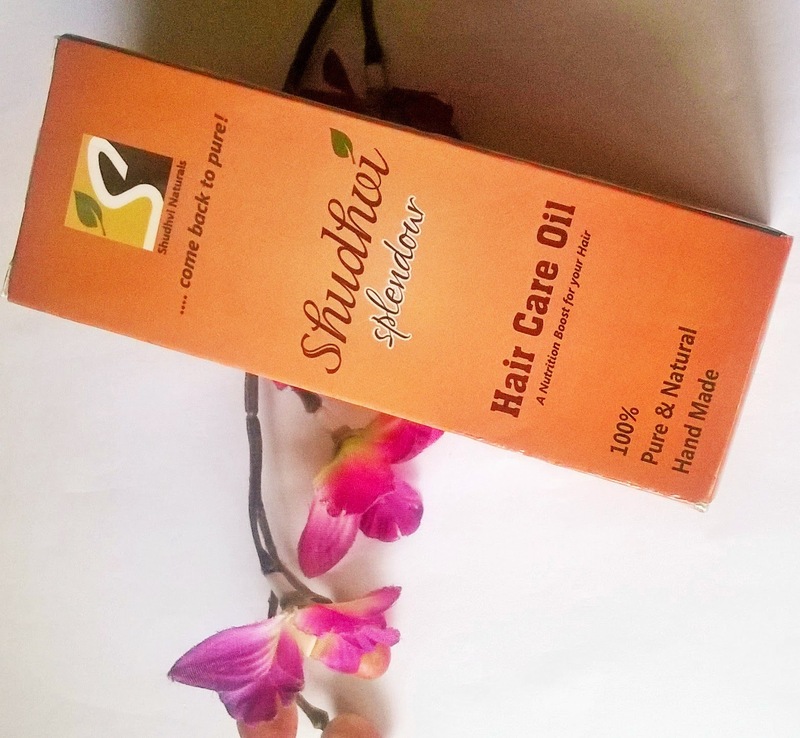 Product: The oil is not that greasy in texture and has a smell of coconut oil with a subtle hint of herbal ingredients. 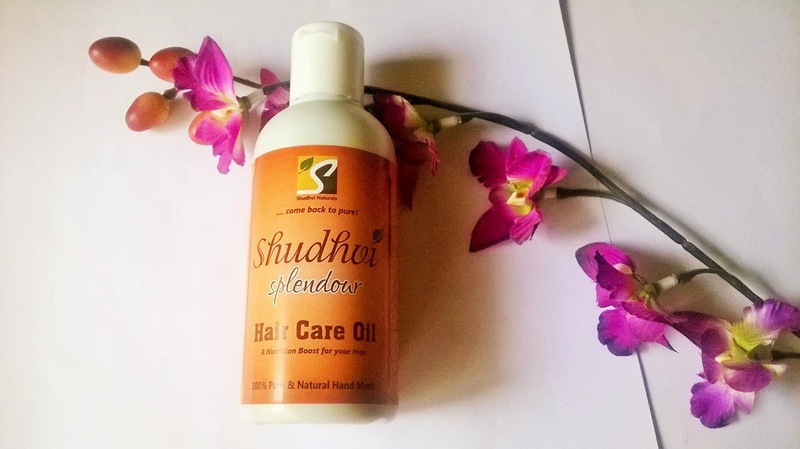 My Experience: Shudhvi Splendour Hair Care Oil is a blend of all necessary ingredients for hair that can give your hair the ultimate nourishment it craves for. 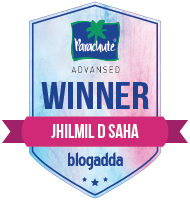 The oil is not that greasy but do not expect it to be super light either, like any other synthetic based oils. 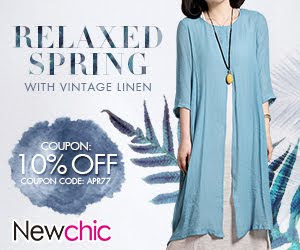 The smell also suggests of it being devoid of any chemicals. 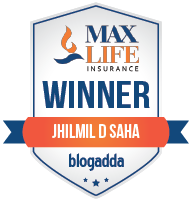 I leave it for 2 hours after a thorough massage which involves circular movements on the scalp. Then shampoo my hair. The hair looks quite shiny and glossy. 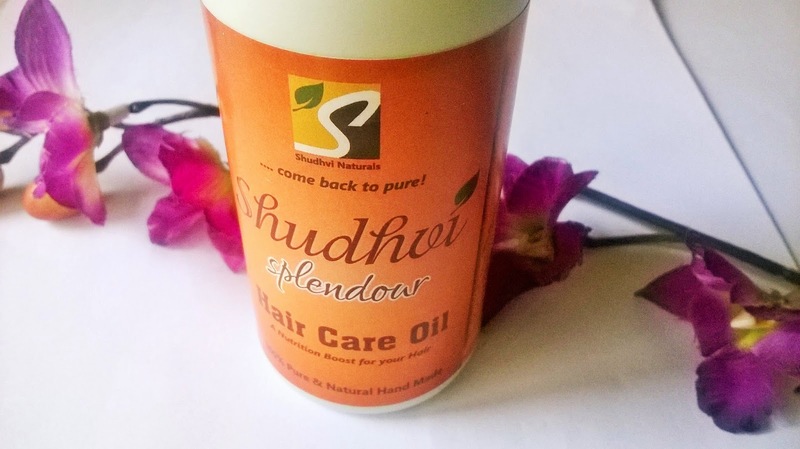 Shudhvi Splendour Hair Care Oil is said to act on dandruff. 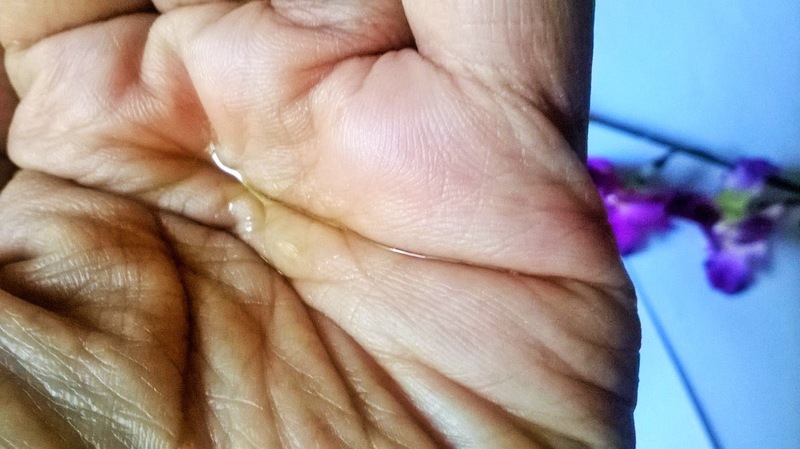 I do not suffer from dandruff but as my husband does, I made him use the oil. After continued usage, his condition is much better. I will not say it is totally dandruff free but there has been a noticeable improvement. 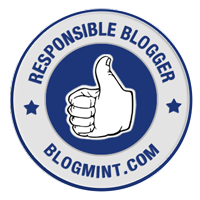 As far as hairfall is concerned, it has definitely reduced the issue to a considerable amount. But what has impressed me more is the quality and texture of the hair. My super frizzy hair and split ends have after a long time seeing better time. 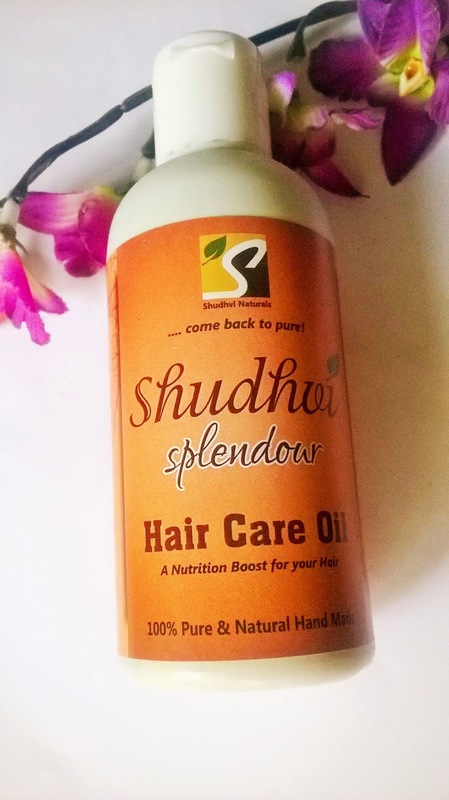 Shudhvi Splendour Hair Care Oil is a very effective oil in improving the overall texture of hair that lacks luster. 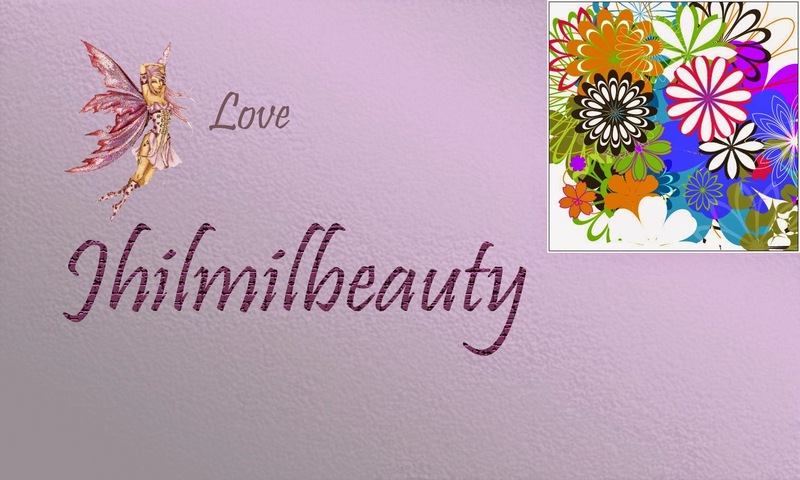 Devoid of any chemicals it can be termed as a complete natural treatment for your hair, even for dandruff prone scalp.